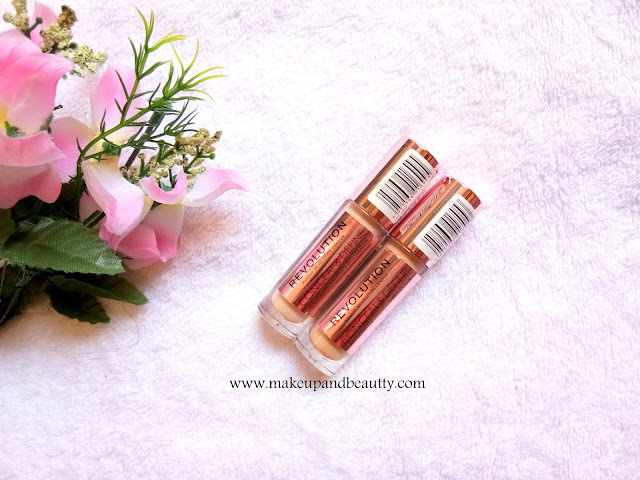 So today I am going to share my review and experience with MAKE REVOLUTION CONCEAL & DEFINE CONCEALERS. Makeup revolution launched these concealers in 18 different shades including warm, cool and neutral undertones for all skin tone from fair to dusky skin beauties. Makeup Revolution Conceal and Define Concealer are raved by many makeup lovers from the day it launched. 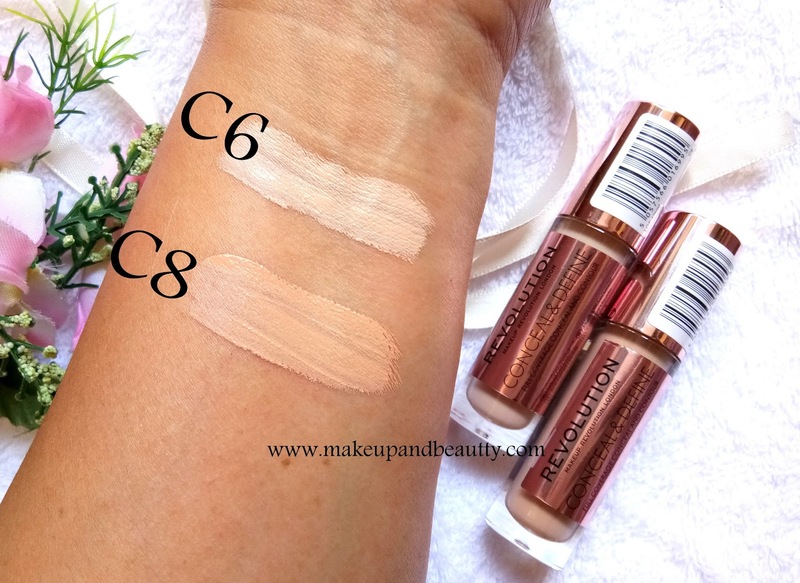 Lately, I am so much into base makeup that I decided to end up trying out these Makeup Revolution Conceal and Define Concealers. I picked up the shade C6 and C8. 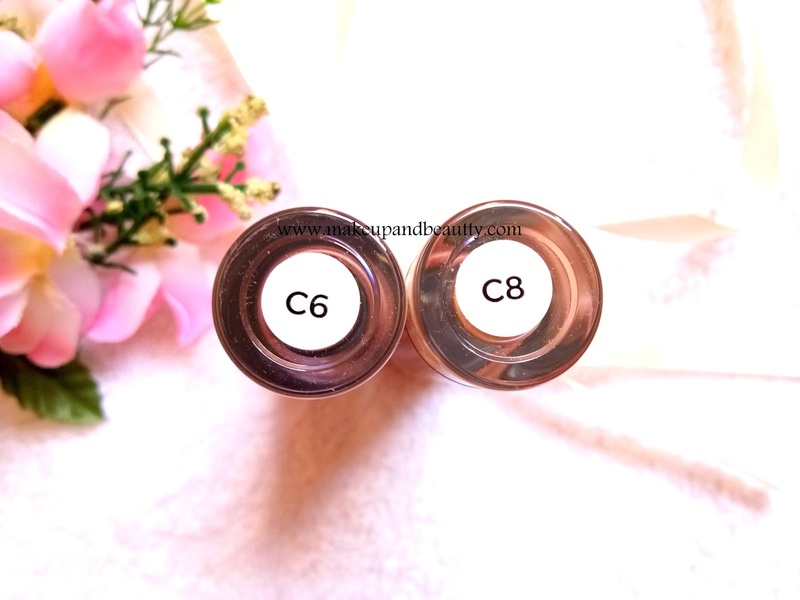 The shade C6 is for light/medium skin tones with yellow undertone. Lightweight yet full coverage concealer to cover blemishes, even skin tone and counteract dark circles, with a matte finish that won't settle or accentuate fine lines and pores. Long wearing intense pigment that can also be used to contour and add definition. Our large doe foot applicator allows for the smooth application that won't drag on the delicate skin under your eyes. 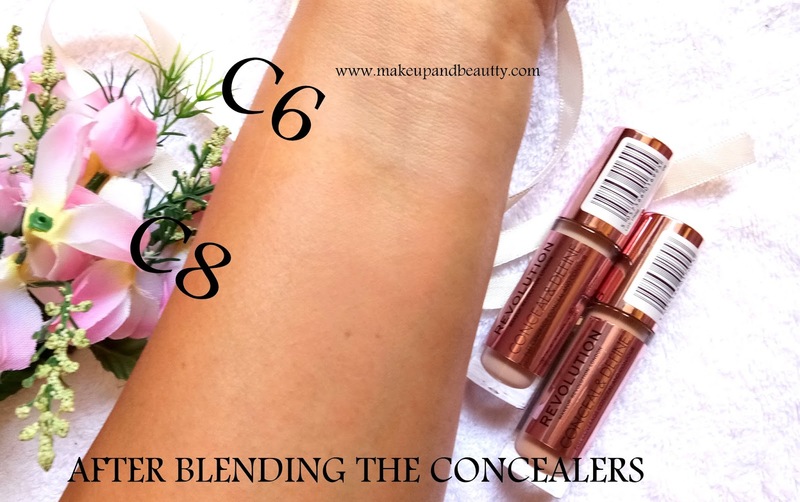 The shade C8 is for medium skin tones with yellow undertone. Lightweight yet full coverage concealer to cover blemishes, even skin tone and counteract dark circles, with a matte finish that won't settle or accentuate fine lines and pores. Long wearing intense pigment that can also be used to contour and add definition. Our large doe foot applicator allows for the smooth application that won't drag on the delicate skin under your eyes. The concealers come in a rose gold packaging in a see through the glass tube. The shade is easily visible from outside due to its packaging. The concealers are neither runny nor too thick in consistency. It is a perfect creamy texture that blends into my skin without much effort. The concealers stay pretty 7 hours or more on my skin without creasing. The best thing about this concealer is you can easily blend it with fingers only. And yes, people raved that these are exactly same in quality like the "Tarte" concealers (I don't have Tarte one so can't comment on that but just thought to share the info with you all). Overall I love these concealers and definitely I am going to buy few more shades from this range. And yes yes...you should try it at least one shade from this entire range.